Hackers have devised a mod that renders the 3DS region free and imported cartridges playable. We live in a world where technology has helped to bridge the gaps between borders in ways never before possible. All you really need to converse with someone living in another country, thousands of miles away, for instance, is a screen and a keyboard. If you're hoping to play their videogames however, that's another matter. Despite the internet making it both convenient and easy to import software from around the globe, some hardware manufacturers have been a bit slow to abandon region locks that restrict customers to only playing games released in their part of the world. Currently, the most stalwart defender of this practice is Nintendo which, despite pressure from its customer base, continues to insist on locking users into playing local releases. As often happens however, where the official channels refuse to adapt, gamers find a way. In this case, hackers have devised a way to release region locks so that the 3DS can play retail cartridges from anywhere in the world. 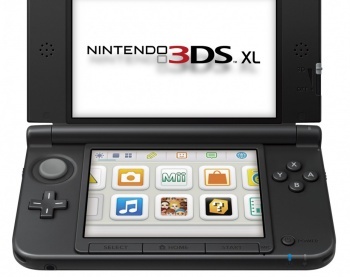 To perform the hack the 3DS in question needs to be equipped with firmware version 4.5 or earlier. This is a necessity because the hack requires the use of a DS flashcard, which later updates have locked out. It should be noted that the flashcard is only needed once and that the modifications being added actually make it impossible for the hacked 3DS to use illegal ROMs. The hack will only equip your 3DS to play legitimately purchased games. The hack, of course, does come with some caveats, the least of which not being that it's possible Nintendo could find a way to counter it in the future. In short, while this isn't a perfect solution to what many find to be an ongoing problem, it definitely demonstrates that many gamers want restrictions like region locking left in the past.